Unhappy with your productivity? Consumed by distractions, interruptions, and wandering mind syndrome? Can't focus and concentrate? Tired of ineffective, blanket advice on improving your focus? 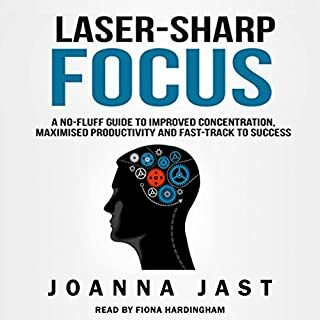 Whether you're a student, freelancer, entrepreneur (or wanna-be preneur), employee, or anyone else dreaming of being able to snap into focus and maintain it for however long you want, this book is for you. How often do you get to the end of another long and frantic day and wonder why so many important things didn't get finished? We've never worked so hard and felt so unproductive and unfulfilled. 18 Minutes takes this challenge and turns it on its head. 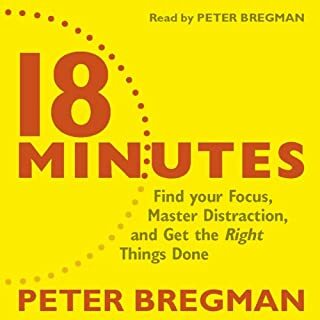 Peter Bregman, top Harvard Business Review columnist and global management consultant, shatters the myth of getting it all done by offering a clear and simple plan for getting the right things done. One afternoon - after another failed attempt to get motivated to exercise - I (accidentally) started my first mini habit. I initially committed to do one push-up, and it turned into a full workout. I was shocked. This "stupid idea" wasn't supposed to work. I was shocked again when my success with this strategy continued for months (and to this day). I had to consider that maybe I wasn't the problem in those 10 years of mediocre results. Maybe it was my prior strategies that were ineffective, despite being oft-repeated as "the way to change" in countless books and blogs. As I sought understanding, I found a plethora of scientific studies that had answers, with nobody to interpret them correctly. Based on the science - which you'll find peppered throughout Mini Habits - we've been doing it all wrong. You can succeed without the guilt, intimidation, and repeated failure associated with such strategies as "getting motivated," New Year's Resolutions, or even "just doing it." In fact, you need to stop using those strategies if they aren't giving you great results. They don't work because they all require you to fight against your subconscious brain (a fight not easily won). 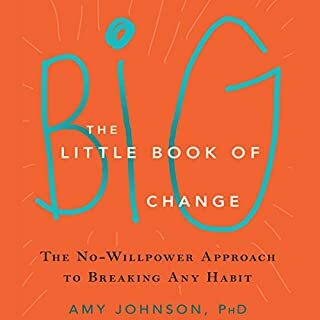 It's only when you start playing by your brain's rules and taking your human limitations seriously--as mini habits show you how to do - that you can achieve lasting change. Yea good stuff. Easy to understand, funny at points. Already started some mini habits, good job. Simple way to get things done, no matter how you feel in the moment. 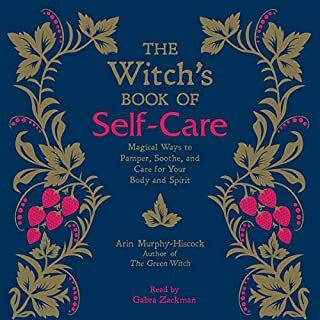 wish I had this book years ago! This book has been a great help to me, making goals small enough to achieve within daily life and not being an inconvenience. Takes "Baby Steps" to a whole new level! Simple yet very powerful concept. Also extremely practical method to apply daily to achieve the change you want. loved the audible version and would recommend others to give it a go. This book changed my life for better.. This book is so simple and so powerful. i was already doing mini habbits before reading the book however i wasnt consious about it. i never knew the sucess and failure i was gathering was contributed due to mini habbits. my life was a roller coaster with erratic thoughts. When i read this book, everything puzzled back together. its like you found a book that thinks like you. it can be repetitive but in a good way. awesome book, awesome audio. god bless. hope one day i could contribute like you did through this book. great book with real logic techniques i like it thanks to author, voice is great. I'm a 43 year old father of 3 and no beginner when it comes to motivation, behaviour modification and psychology, having read many books on these subjects. 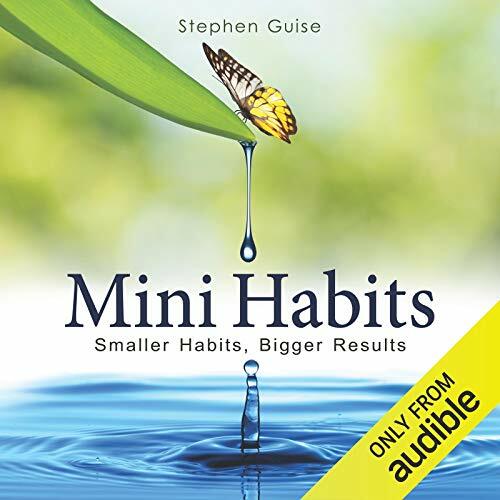 I have listened to this book twice and started using the mini habits concept a month ago. It's very simple, logical and so far, very effective. I'm cautiously optimistic that here lies the tools that I've been searching for to become more productive and happier. Since implementing mini habits I have exercised daily, practised piano daily, read a book daily and more. I look forward to seeing how my 'stupidly small' mini habits stick when life gets chaotic. I have noticed how this technique is improving my mindset in other areas besides my mini habits and generally helping me get more things done. Win! 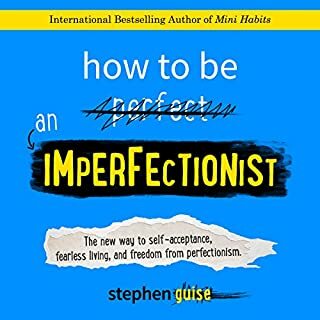 Stephens other book, How To Be An Imperfectionist, is also excellent and pairs well with this one, if your a perfectionist. All practical suggestion to create habit. it is definitely helping me to acheive my goal by taking small steps at a time. It creates great sense of releif by not forcing yourself to acheive big target at once. Good book. Will listen it again. 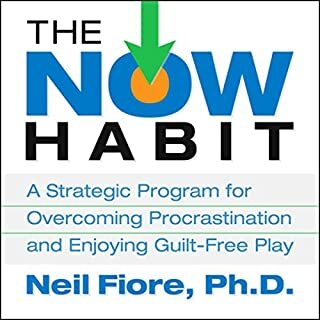 I read this book as always fails on normals ways about making habits, same as the Stephen. 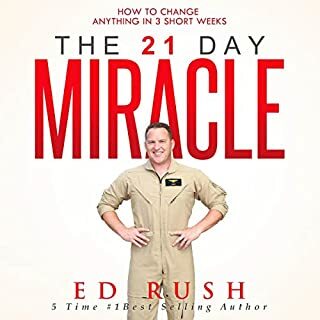 I followed his suggestion listening this book 2 minutes per day. Then I finished this 4 hour listening book in a week. I am sure I am on the way of making mini habit and I will make more and I want to continue on the right track. i upgraded from the written book to listen to in the gym. Whilst its good i related to the written material better. This isn't a book that will wow you with facts and research and science. Instead, it is a book that makes huge and often overwhelming goals possible. The theory and method presented are based on the author's personal experiences of creating change in his own life. I agree with other reviewers -- there is something strangely liberating about the idea of setting your goals so low that you can easily meet them. Then from these tiny goals bigger change begins and builds. Worth a listen if you need a new and simple approach for attacking the problem of feeling bogged down and want to start building new daily habits. A positive listen. 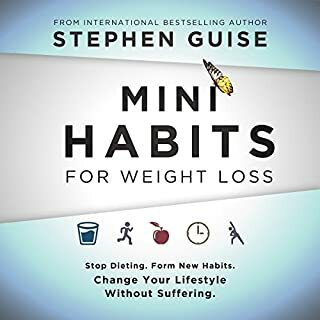 Although it is a small book and the writer tries hard to fill it up with scientific knowledge, the soul of Mini Habits is simple: create few-- up to 4-- mini habits, even laughable ones (like do one push up), and follow the script (or don't break the chain). And yes, it may work. I did something like that when I was writing my first book. At the time I was a resident at a cardiology hospital, my wife was pregnant, and I told myself: write one page a day and please don't break the chain. Most of the days I wrote 3 pages, and couldn't get hold of myself. I completed the book before my daughter was born. Now for my second book I cannot write one page a day-- It seems too much effort. I have 2 kids, many patients to see, well, almost impossible (or so I think). And I postpone. I know that I could find time to write. Maybe if I told myself: "write 5 LINES each day" I could had completed my second book years ago. 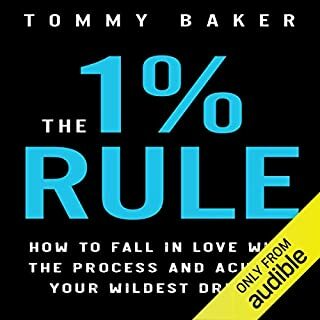 I started out listening to this book thinking that it sounded kind of gimmicky, but halfway through things clicked and I saw what he was talking about in my own life. I already, accidentally, have a whole lot of mini habits in process, some good and some bad. 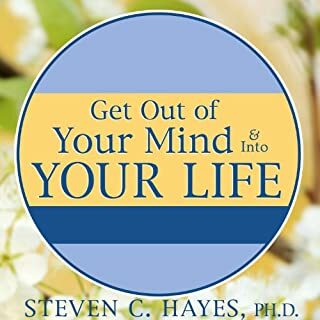 The further into the book I got the more powerful the concept became as I realized this dynamic is already existing in my life and he is showing me how to tap into that dynamic and leverage it for increased productivity. What made the experience of listening to Mini Habits the most enjoyable? I have read countless books on self-improvement. This book is incredible! Buy this book now. I had a habit of setting big goals. I would even break down the big goals, but Mini Habits makes it easy for you to succeed! Thank you Stephen Guise for a great book! Also, thanks to Daniel Penz the narrator of the book to make it so easy to listen to. The narrator can make or break a audiobook. Well this is a grand slam! 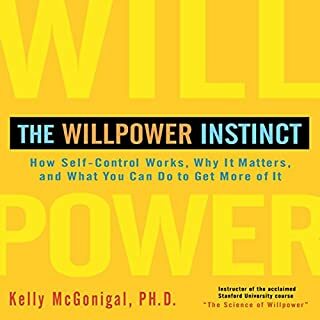 Having just completed 7 books on the brain, habits and focus, this was the perfect book to sum it all up and take action. I am going to put measures in place to make sure I maintain the core principles. Would you listen to Mini Habits again? Why? No, because you don't have to listen repeatedly to get the idea. What was one of the most memorable moments of Mini Habits? It's not a fiction book, so no such thing to me. Have you listened to any of Daniel Penz’s other performances before? How does this one compare? The idea is very good. I have been using it for several days. The general idea is that you should stick to stupidly small habits, such as one push-up a day, instead of bigger ones that need more will power. The whole book is just using different words to rephrase this idea. Very repetitive. But anyway, it's a great idea, so the idea itself is worth a credit. I have used it for 3 days now, and actually I am more on top of everything because of the mini habits. Will see how this works in the long run. Procrastination In A Whole New Light! I enjoyed this book very much, including the narrator. And I asked myself this morning--after all the books I've read and listened to--why I was still procrastinating, checking off lists, putting lists into shorter lists, etc. etc. etc. 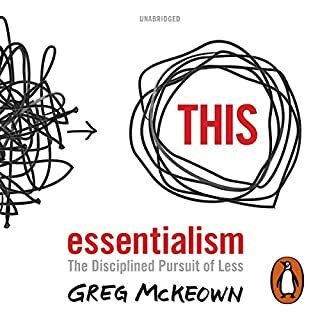 Is it just me or does this book resonate with the very core of the problem, which is always the "getting started" part? This book is light (which I liked), but to the point. I began using it before I'd finished it, which was over two days. 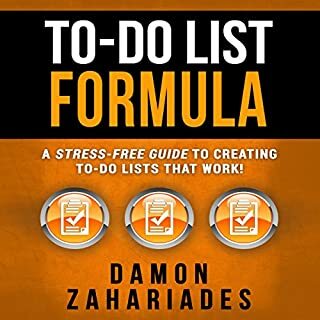 If you are someone who feels overwhelmed by the projects you want to do, I believe this book will help you. I'm sure I've never had a book get me moving so quickly and easily. Absolutely. 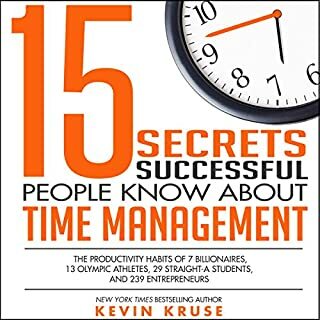 I've read a lot of time management books in my career - and a lot about getting motivated, dealing with procrastination, etc. This book has an entirely new perspective that I found very helpful and refreshing. Development of habits is far more important than motivation for maintaining forward progress. Seems to be well researched. n/a but I like the tone and humor of the author. What does Daniel Penz bring to the story that you wouldn’t experience if you just read the book? Penz is a good narrator for this author (who looks so young in his online posts that I might not have purchased the book if I had seen his picture first). On this topic, a natural instinct (at least for me) is that I want to hear from someone who's had more life/work experience. It just surprised me at how it addressed an issue that I have that I've never seen addressed before: habits can take the emotion out of tasks so that you can do them whether you're "in the mood" or not. Best self development book I know! 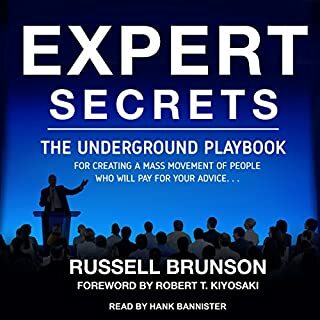 My preferred genre of audio books is self development and this is by far the best Ive heard, because it so practical and actionable that you cannot fail if you apply the advice that it gives. Very powerful knowledge that completely changed the way I think about creating new habits for my self. My mini habits have already begun to change the way I live, two weeks into them. This is a must read for anyone honestly. If you could sum up Mini Habits in three words, what would they be? I've tried a dozen self-help books and none have delivered. Mini Habits is so simple and easy, yet makes complete sense and even though I have only been doing the system for a short amount of time, I have already seen results beyond anything I've tried before. If you procrastinate horribly or just want to change your life for the better, then look no further. Had actually done some work prior to this book on small habits but it's certainly the way to go for coaches or clients both. Would you try another book written by Stephen Guise or narrated by Daniel Penz? bearing in mind this is non-fiction I would say alternative examples could be given as the text is sometimes very repetitive . Could you see Mini Habits being made into a movie or a TV series? Who would the stars be? This had a very good message and presented a far more realistic approach to achieving goals/changing your life etc. It was however very repetitive and would have easily made a much smaller book. There seemed to be a lot of elaboration on ideas that was not really necessary.Having said that it was a good listen! Simple life advice, once you think about it. Get into a habit of doing something and before you know it, it's like as normal as going to the toilet. Great book. the advice is counter-intuitive but works extremely well. Having set countless ambitious goals in the past (only to fail them later despite good intentions) this system is perfect for me. 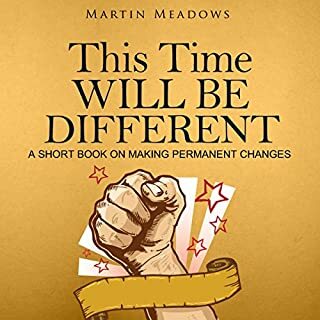 I also recommend it for anyone who finds that the pressure of having ambitious goals actually detracts from their success in the long term (and finds that they definitely don't "thrive under pressure"). He does repeat himself by making quite similar points on multiple occasions. 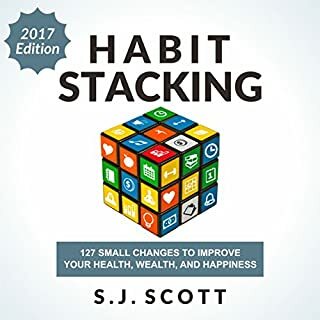 However, this does help to reinforce the main concepts of the book (which are extremely useful) so I recommend reading/listening to the whole thing, putting up with the occasionally repetitive style and learning a brilliant system for developing habits that will stick in the long term. It is easy to digest and follow. Got me going to the gym without much resistance. I'm glad I persevered with this book despite the off-putting style of narration. To my British ear the narrator sounds like a game-show host! 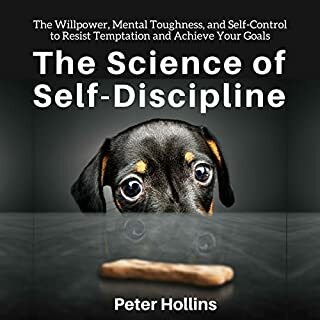 It draws on neuroscience to chart a course through the frustrating world of trying to build good habits and to explain why my previous efforts have been so ineffective! I'm only halfway through the book but if it continues to be this good I think it's going to be a HUGE help. a great simple idea that I am implementing with an android app. wish me luck. Make it small and it gets done. I come back to this mini habits principal every time I flounder at my now enormous daily routine... Thanks Stephen! Really enjoyed listening to this. Really enjoyed listening to this. Looking forward to trying out some mini habits of my own. Others have mentioned that it can be a little repetitive at times. However, this didn't bother me and I think the repetition serves a purpose.